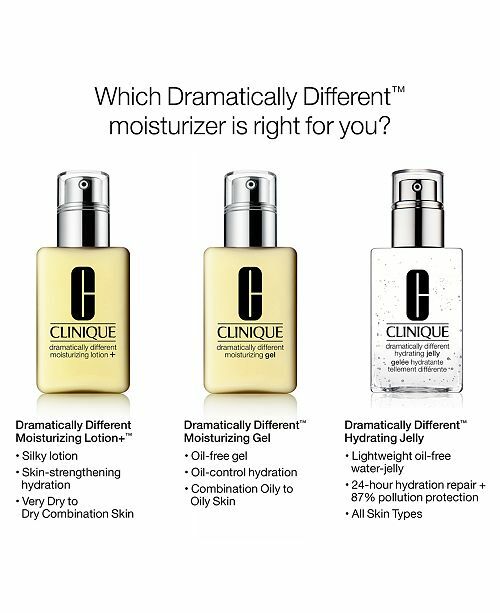 Clinique has been driving the skin care revolution since they introduced the idea of a custom-fit skin care regimen in 1968, which is when they launched their iconic three-step system. They have now reimagined this regimen with Clinique iD, which allows you to create the perfect custom-built hydrator to moisturise your skin. Their first-ever custom-blend hydration system is made specifically for your skin type and particular concern, and with 15 unique combinations available, you are sure to be able to come up with the perfect skin care solution. To discover everything you need to know about it, just keep reading, while you will also find out how you can win a Clinique iD product and earn yourself 10% cashback. 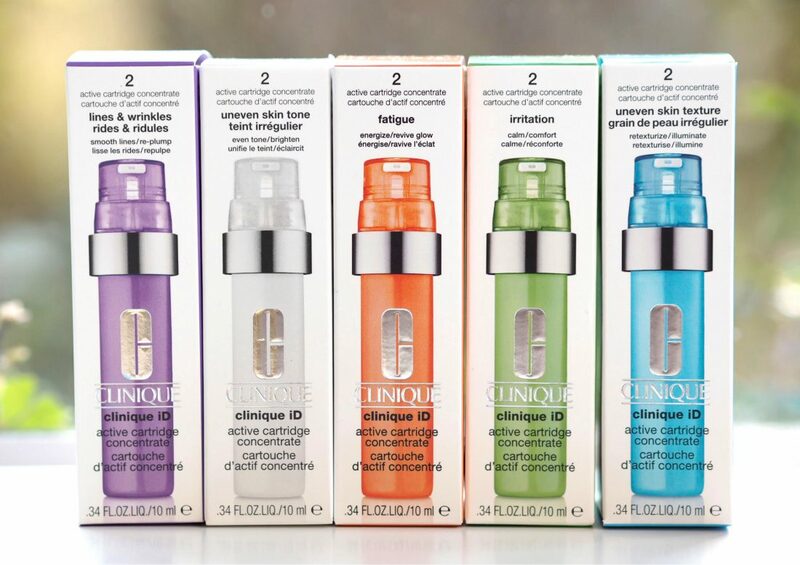 The innovative Clinique iD packaging delivers the precise proportions in every pump — 90% hydration base and 10% active cartridge concentrate — to make it easy to hydrate and treat at the same time. It is so simple too. All you need to do is choose your hydration base and one of the five active cartridge concentrates to create your very own Clinique iD custom hydrator. Moisturising Lotion+ — ideal for very dry to dry combination skin types due to its silky texture. Oil-Free Gel — a light lotion-texture gel which helps balance and refresh more oily skin types. Hydrating Jelly — offering a light and refreshing water-weight texture suitable for all skin types. It will then be time for you to pick your active cartridge concentrate, based on your primary skin concern. Whichever you choose, each cartridge contains high levels of pure, concentrated active ingredients which will target a specific concern. Just insert your active cartridge concentrate into the hydration base of your choice to create your own custom-blend hydration system, which you should apply twice daily to clean skin, avoiding the eye area. Now we have explained the basics, let’s tell you a little bit more about the different cartridge concentrates you can choose from. This green cartridge contains Lactobacillus ferment and other active ingredients to calm and comfort delicate skin. It provides instant relief to irritated and upset skin, with the probiotic ferment helping to boost its natural defences against external stressors in order to keep it in balance. It will also help to boost energy in order to maximise the natural repair potential of your skin. Providing an instant feeling of relief after one use, it will soothe the irritation after a week, while once you have used the whole bottle, you will see a reduction in skin redness. The blue cartridge contains alpha hydroxy acids (AHAs) and other active ingredients to reduce the look of pores and retexturize to reveal fresher, brighter skin. AHAs quickly exfoliate dead surface cells and help refine the look of pores, leaving skin smoother and brighter. It will provide an instant polish for the skin after one use, while your skin will appear more radiant after one week. When you finish the bottle, you will see a noticeable improvement in your overall skin texture and luminosity. The white cartridge contains Japanese angelica root extract and other active ingredients to help bring about a brighter, more even skin tone. It will reduce the appearance of discolouration thanks to ascorbyl glucoside, which is a potent vitamin C derivative, and help infuse skin cells with the energy they need to perform and thrive. Your skin will have an instant brightness after one use and it will give it a more even toned appearance after a week, while once you have finished the bottle, you should see an improvement in unified skin tone. The orange cartridge contains taurine and other active ingredients to wake the skin and minimise signs of fatigue. This ingredient, which is new to Clinique, is an amino acid that boosts cellular energy — essential for overall skin health, moisture retention and cellular renewal. Your skin will look more radiant and supple by revealing a fresher, smoother appearance. Skin will get an instant wake-up call after one use, while it will look more energised after just a week. After one bottle, meanwhile, you will see a reduction in the signs of fatigue and a renewed glow. This purple cartridge contains whey protein and other active ingredients to smooth and plump up fine lines and wrinkles. A natural, high-quality polypeptide, it is rich in amino acids, which are essential when it comes to initiating the natural development of new skin. It will provide an immediate tensing sensation on the skin’s surface, leaving it feeling taut thanks to the inclusion of sweet almond seed extract. You will feel an instant smoothing of the skin after one use and see a softening of fine dry lines after a week, while once you have used the whole bottle, you should be able to see a reduction in lines and wrinkles. We are offering six TopCashback members the chance to win a Clinique iD product of their choice. Just head over to our Clinique Hub and you could be a winner. If you don’t win, there is no need to feel downhearted as we are offering an exclusive 10% cashback rate, which will allow you to save when buying from the Clinique iD range — or anything else for that matter.